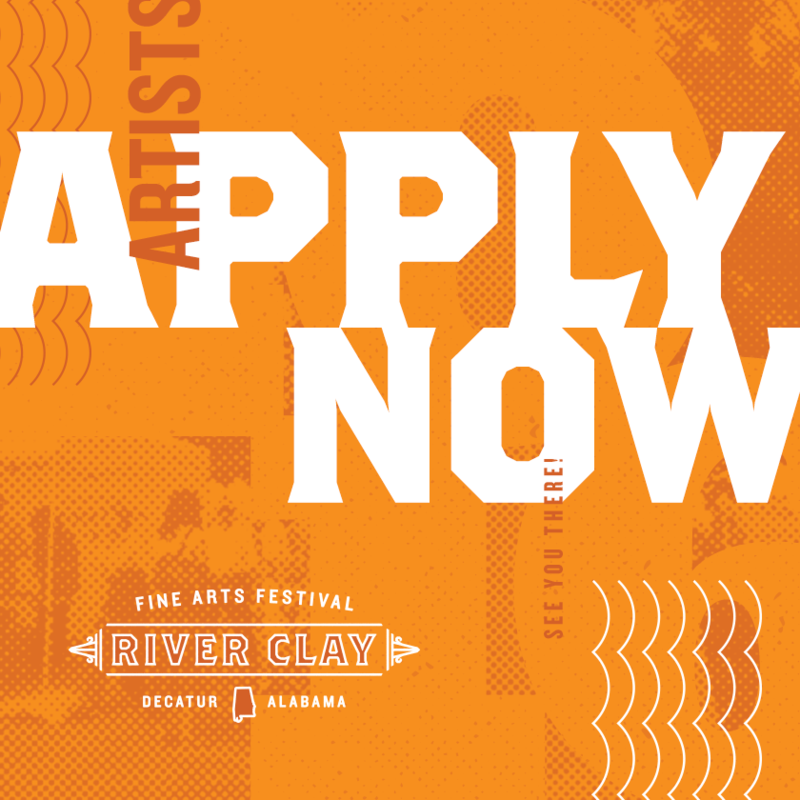 River Clay Fine Arts Festival | ARTISTS: 2018 Application Deadline is April 3… Apply Now! 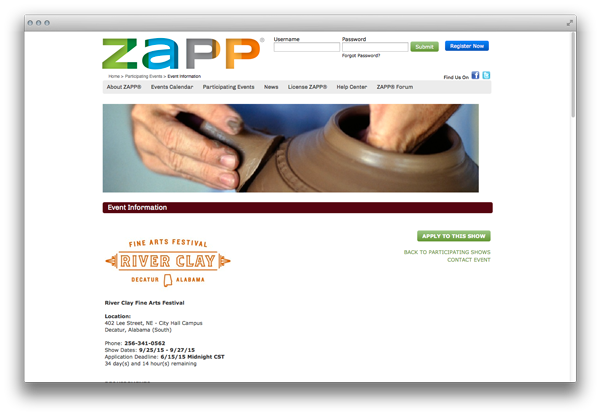 Artist applications on Zapplication is now live for the 2018 River Clay Fine Arts Festival. Now in it’s 4th year, River Clay remains a big hit with artists and collectors in the venerable Southeast fine art festival schedule! 2015’s, 2016’s and 2017’s participating artists reported great sales, exceptional organization and unparalleled volunteer assistance. We can’t wait to do it all again! Supporting a healthy energy for the arts from an enthusiastic, art-buying population, our booming downtown Arts & Entertainment area including the Carnegie Visual Arts Center, Princess Theatre, the Alabama Center for the Arts and the Alabama Arts Hall of Fame has encouraged the festival to grow within its location in the lush greenspace surrounding City Hall. With the generous support of the City of Decatur, the Decatur-Morgan County Chamber of Commerce, the Decatur/Morgan County Convention and Visitors Bureau, Decatur Downtown Redevelopment Authority, and numerous other arts- and commerce-related organizations, we are eagerly anticipating another tremendously successful event to showcase the creativity and handiwork of artists from a wide region.